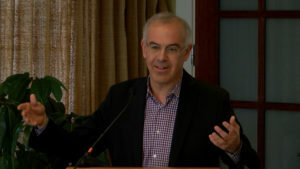 New York Times columnist David Brooks discussed the “pressure points of character” during a School Leaders Roundtable at the Institute of Advanced Studies in Culture in March. 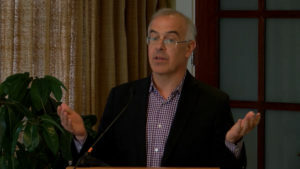 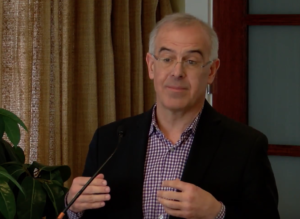 David Brooks, columnist for The New York Times, spoke about selfishness and dishonesty during a School Leaders Roundtable at the Institute for Advanced Studies in Culture in March. 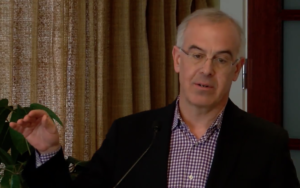 New York Times columnist David Brooks discussed the “inborn nature” of infants and how their social and cooperative nature serves as a starting point for character development during an event at the University of Virginia’s Institute for Advanced Studies in Culture this spring.